The Defence Research and Development Organisation (DRDO) has signed a Rs 17,000 crore deal with the IAI for the ambitious project. 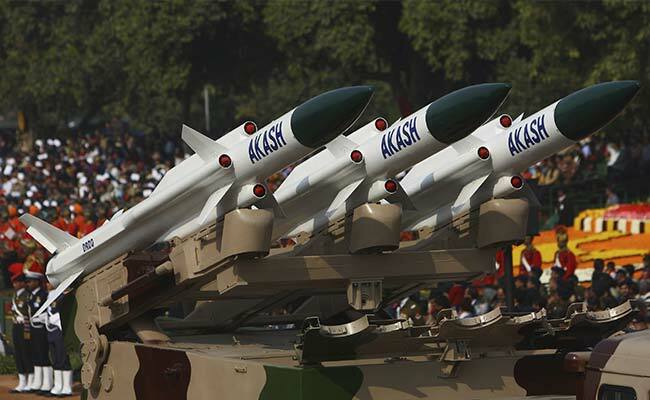 In 2015, Army had inducted indigenously-developed supersonic surface-to-air missile Akash. After years of wait, the Indian Army will finally get an advanced medium-range surface to air missile (MRSAM) system by 2020 which will be able to shoot down ballistic missiles, fighter jets and attack helicopters from a range of around 70 km. The missile system will be produced by premier defence research organisation DRDO in collaboration with the Israel Aerospace Industries (IAI), a senior army official said. The MRSAM system will be capable of shooting down enemy ballistic missiles, aircraft, helicopters, drones, surveillance aircraft and AWACS (Airborne Warning and Control Systems) aircraft, the official said on condition of anonymity as he is not authorised to speak to the media. The current version of MRSAM is operational with the Indian Air Force and the Navy. The MR-SAM, a land-based version of the long-range surface-to-air missile (LRSAM) for the Navy, will have a strike range of up 70 km, the official said. The deal envisages 40 firing units and around 200 missiles. "The MRSAM for Army's Air Defence is an advanced all weather, 360 degree mobile land based theatre air defence system capable of providing air defence to critical areas against a wide variety of threats in a combat zone," the official said. The first set of missile system will be ready in the next three years, he said. The Army has been pressing the government to enhance its aerial attack capability considering the evolving security challenges. In May, the Army successfully test fired an advanced version of the Brahmos land-attack cruise missile in the Andaman and Nicobar Islands. The Indian Army, which became the first land force in the world to deploy the Brahmos in 2007, has raised several regiments of this formidable weapon. In May 2015, the Army had inducted the indigenously- developed supersonic surface-to-air missile Akash which is capable of targeting enemy helicopters, aircraft and UAVs from a range of 25 km. The Army thinks procurement of the MRSAM will mark a paradigm shift in its strike capability.